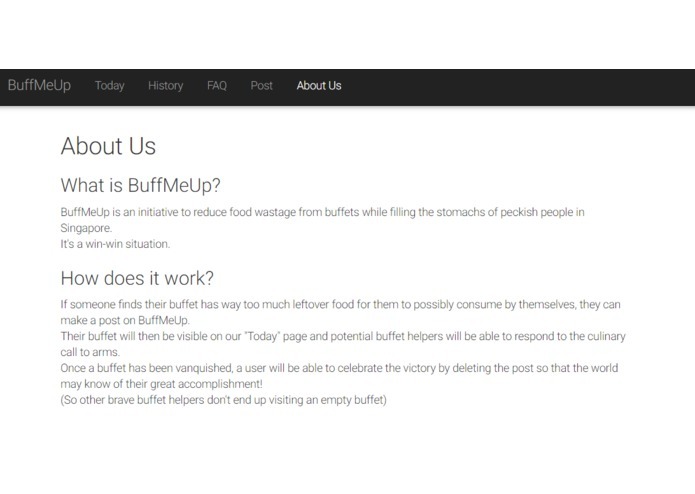 A buffet sharing website for those who hate food wastage! We were inspired by the existing megachats for buffets in the various Singaporean universities but realized that the participant experience is severely dampened by the chaotic nature of the chatgroups. 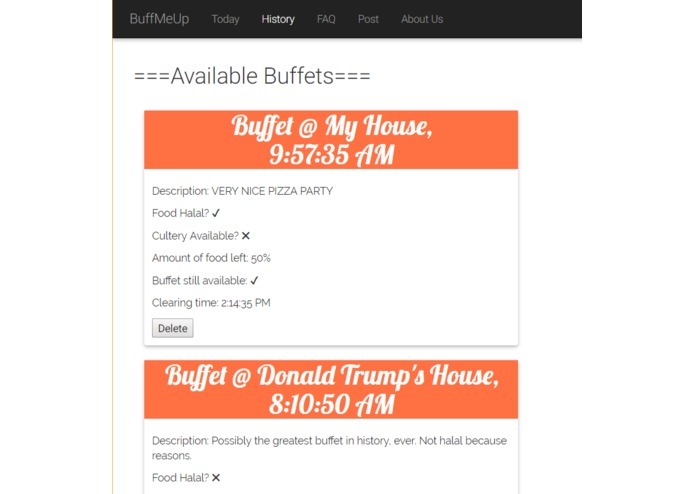 Allows users to view and post about buffets that need help. 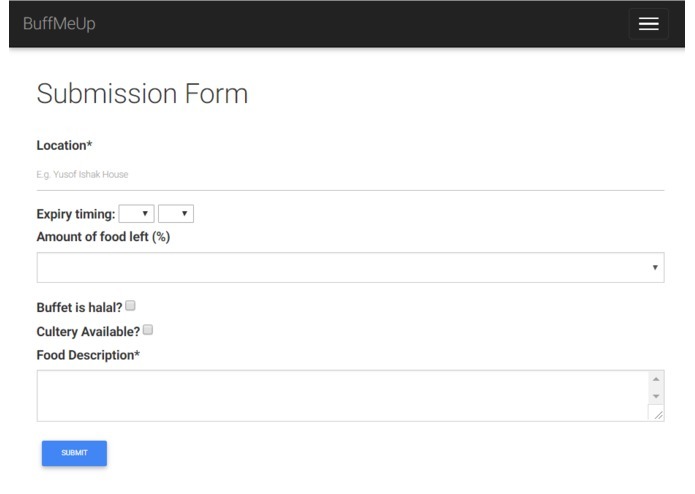 Details such as location, start time, clear time, whether the buffet is Halal certified are provided. node.js is the backbone vue interacts with the HTML firebase handles the buffet information.